These Mr. Fothergill's buddleja mixed seeds from Ruddick Garden Gifts are fantastic for wildlife gardens. 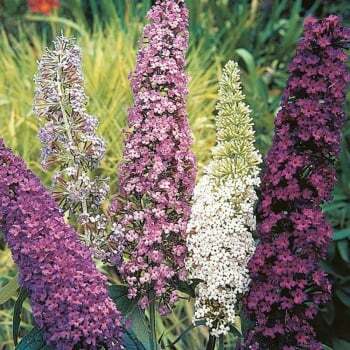 This hardy shrub, also known as the butterfly bush, has large flower spikes which are adored by butterflies and many beneficial insects. Flowers July - October. Average of 150 seeds per pack.